Hollywood has long been criticised for its conservative, money-driven mindset. 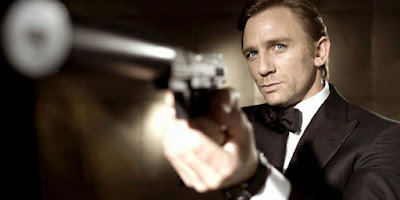 By prioritising the commercial success of a given venture over its artistic or critical merit, it has produced an inordinate number of bad or mediocre films over its long history, which exist purely because the numbers add up on a balance sheet. It's a fallacy that if loads of people see a film then it must be good, but Hollywood has played upon this fallacy for decades. 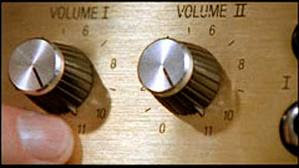 We are living in a period in which this continual promotion of mediocrity is reaching absurd and aggressive levels. 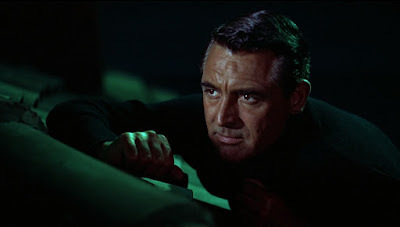 But it is foolish to believe that it is only a recent phenomenon; rather, it is something seemingly inherent within the Hollywood model of film-making. 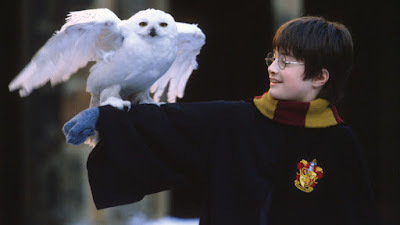 All of which brings us to Harry Potter and the Chamber of Secrets, which manages to be longer, duller and more episodic that its already underwhelming predecessor. 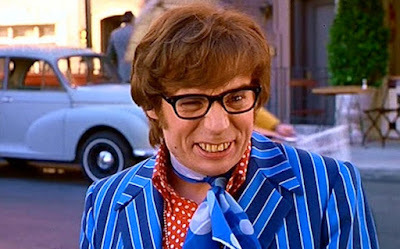 At this juncture, it may be perfectly natural for you to accuse me of dismissing the film on the grounds of its reputation. 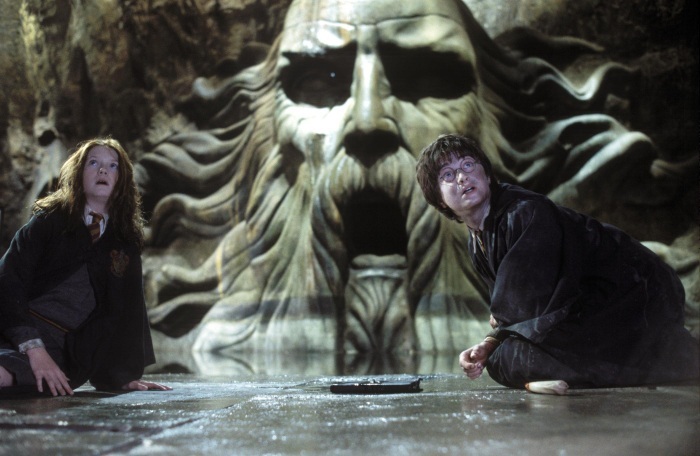 Chamber of Secrets was created by the same people who made Philosopher's Stone, with principal photography starting merely three days after the latter had been released. It retains the same cast and largely the same crew, is produced by the same studio, and is still very much a product of Chris Columbus' imagination, or lack thereof. But despite my feelings about Columbus as a director (which I have already discussed at great length), I actually believe that this film had a chance of being better - nay, should have been better - than its predecessor. Having spent so long in the first film trying to set up all the different concepts surrounding Hogwarts and the world of wizards, we should now be able to go deeper into the characters without having to worry about all the jargon. While new ideas are still introduced throughout The Two Towers and The Return of the King, they do not faze us because we accept the rules of the universe from which these ideas come forth, based upon the knowledge we garnered from The Fellowship of the Ring. Chamber of Secrets does have a number of interesting ideas buried in it, many of which foreshadow later developments in the franchise. Where Philosopher's Stone focused on the threat posed specifically to Harry, the threat in Chamber of Secrets is much more all-encompassing, with the whole of Hogwarts at the mercy of some insidious, inexplicable evil. In the right hands, this film could have made more of the idea of Harry's special nature and how that places the people he cares for in increasing amounts of danger. 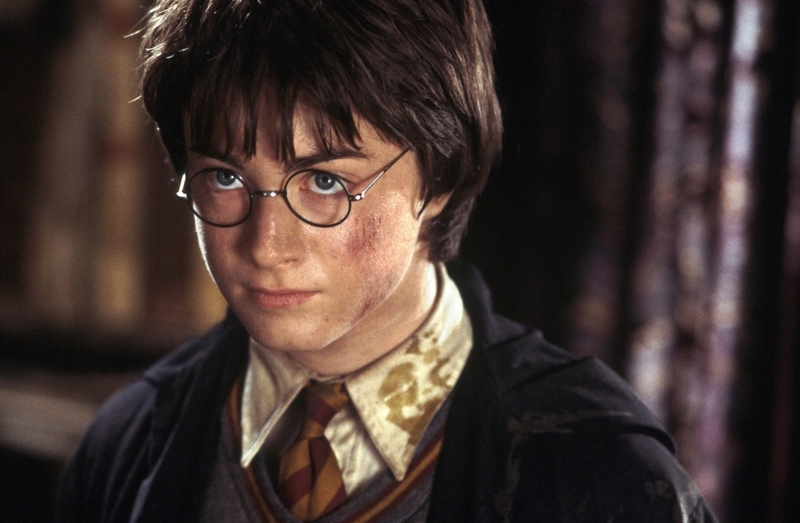 J. K. Rowling went as far as dubbing the character "Typhoid Mary" in an interview with Daniel Radcliffe when the two parts of the Deathly Hallows were being shot. 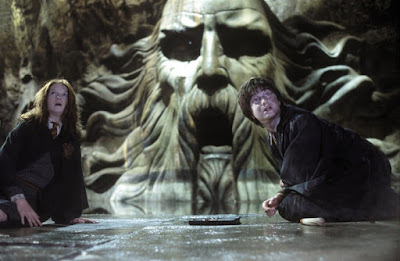 This film is also significant for introducing the concept of horcruxes, items which contain a fragment of Lord Voldemort's soul, through which he can live forever (unless they are destroyed). It's an idea that has a great deal of precedent in fiction, from Sauron's ring in The Lord of the Rings to the Necronomicon in The Evil Dead, which causes Deadites to rise up when its passages are chanted. In whatever form it comes, the idea is an appealing one because it gives us a blend of tangible and intangible evil - a physical object which is either inherently evil or evil by association with a purely supernatural force or being. It raises all kinds of questions about the way that evil manifests itself, how temptation works, and how we should approach evil in our quest for good. At the very least, it's an interesting McGuffin which should serve as the basis for a compelling fantasy adventure. Unfortunately, just like its predecessor, Chamber of Secrets is a film which could and should have been a lot better than it is. And once again it's Columbus' overly faithful, almost literal approach to the material which lets the film down, turning what should have been a gripping, creepy adventure story into a pedestrian, episodic and frankly tedious outing. 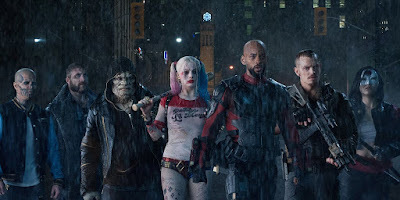 For all the criticisms that fans might have about the later films' decisions regarding adaptation, the fact remains that this is not by any definition a good example of cinematic storytelling. Many of the problems with Chamber of Secrets amount to the same flaws that plagued Philosopher's Stone being present for much more screen time. Because there is more plot to deal with this time around, we get a lot more scenes of lazy and confusing exposition in the corridors of Hogwarts. The scenes with Harry, Ron and Hermione discussing what is going on and plotting what to do next are all shot in the same fashion, with extremely similar pacing, camera movements and marks for the actors. Because it's hard to tell one from the next, we assume that we could watch them in any order and it wouldn't make a difference. Likewise, the big magical set-pieces still feel like conscious intrusions on the plot rather than integral parts of it. The quiddich match may have a visually impressive chase in it between Harry and Draco Malfoy, but Columbus lets it go on much longer than it needs to: it simply isn't that important to the plot to warrant so much screen time, but Columbus indulges himself because that's what's in the book. Equally, the scene with Aragog the giant spider may be creepy on some level, but it's only a moment of terror rather than an incremental step towards a memorable climax. Both of these elements together contrive to make Chamber of Secrets feel incredibly episodic. As before, Columbus' camera is chasing after the material in every shot, having seemingly no idea where the story is heading beyond the beginning and end of a given scene. You simply don't get the sense that Columbus knew what the focus should be and how to shape the film accordingly. Instead various plot elements move in and out of our attention for the best part of three long hours, and after a handful of special effects the film stops in a thoroughly un-cathartic place. In all of these respects, Chamber of Secrets seems like the dictionary definition of 'more of the same'. This broadly extends to the visual sensibility: while there are more visually darker scenes and a number of obviously Gothic touches, the film retains the safe-Dickensian feel of its predecessor and is still pushing for a family audience in spite of all the creepy moments. There are even moments where you'd swear the sets for Philosopher's Stone had been reused to create a different setting this time, with the Chamber of Secrets itself looking remarkably like the wizards' chess board in the first film. If Chamber of Secrets was just 'more of the same', it would not automatically warrant a lower score than the first film. What tips this over into being the worst Harry Potter film is the lack of logic in many of its climactic scenes. We're used to adventure stories which have one deus ex machina, and can just about tolerate it if it's used in a sophisticated way. 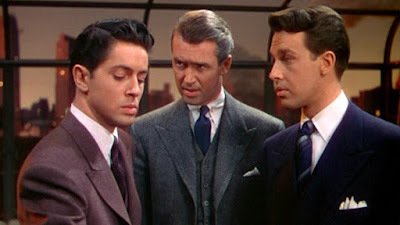 But this film tests our patience by giving us numerous anticlimaxes, in which a difficult situation is dealt with in a manner which is either too straightforward or downright perplexing. Some of these instances are caused by a contrived coincidence, such as Gilderoy Lockhart casting a spell with Ron's broken wand, causing it to backfire and bury him under rubble. Others give characters powers that were never explained beforehand and are not referenced again, such as Dobby preventing Lucius Malfoy from harming Harry after the former has been freed. 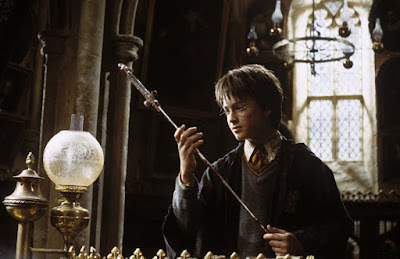 Others still find the film simply pulling a solution out of thin air because it needs our hero to succeed, such as a sword magically appearing in the sorting hat so that Harry can kill the basilisk. Each of these examples on their own are disappointing, but the more they keep coming the less confidence and interest we have in the resolution of the story. As before, the saving grace with Chamber of Secrets is the cast, who do a generally decent job with material that has not been properly shaped for the screen. Emma Watson deserves special credit for her performance as Hermione: she does her best with the reams of exposition and makes the character less of a grating goody-goody than before. 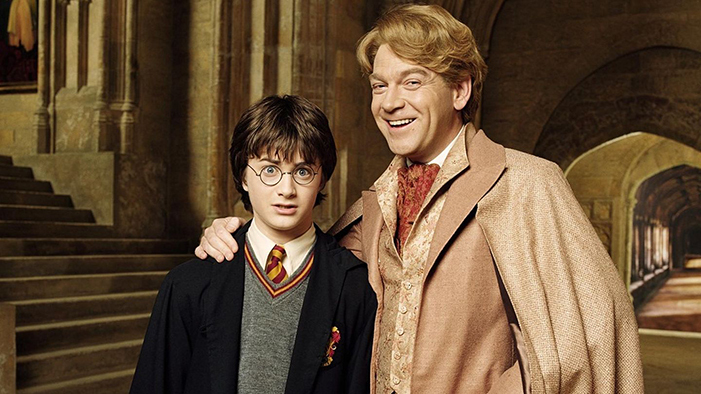 Kenneth Branagh is underused as Lockhart but he does occasionally get the chance to prove his acting chops in amongst all the goofy humour. 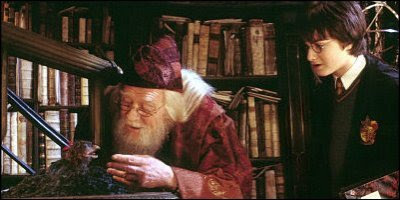 And Richard Harris acquits himself well as Dumbledore, in what would prove to be his final performance. Harry Potter and the Chamber of Secrets is a step down from the first film, being longer, more episodic and altogether less engaging. All the problems which dogged the first installment are present in greater form here, and Columbus' uninspired approach to the material is likely to please existing fans a great deal more than any newcomers. While it's not quite awful, it remains the weakest of all the Harry Potter films, and provides a good case for all the changes that came with Prisoner of Azkaban.